As with the other parties this is a week long fun fest for all to enjoy, so invite your friends and family to come on in and visit everyone's craft room and link in to join the party!! For more party info check out the Blog Party Rules and Permalink pages. 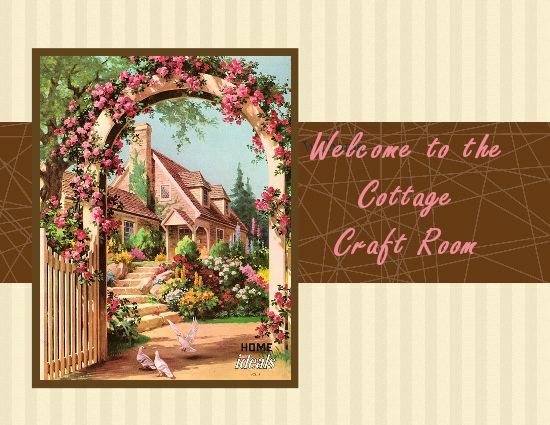 Thanks for hosting your sweet party and promoting Etsy Cottage Style. I'll try to get back in the swing of things! Happy Monday. Thank you for hosting this weekly event and all you do to set this up for all to enjoy. I have been very busy, but promoting our Monday parties and this week was able to participate in this one sharing some past links.